Metal case is made of heavy gauge steel, enamel paint finish. 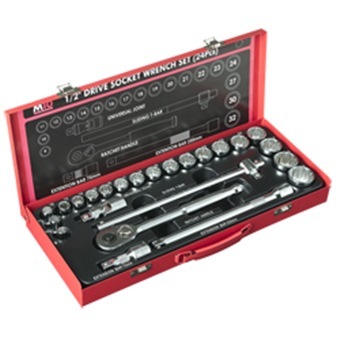 Tools are made of chrome vanadium steel, chrome-plated, mirror finish. DIN standard, for manual drive. Tools are made of chrome vanadium steel, chrome-plated, mirror finish. DIN standard, for manual drive.